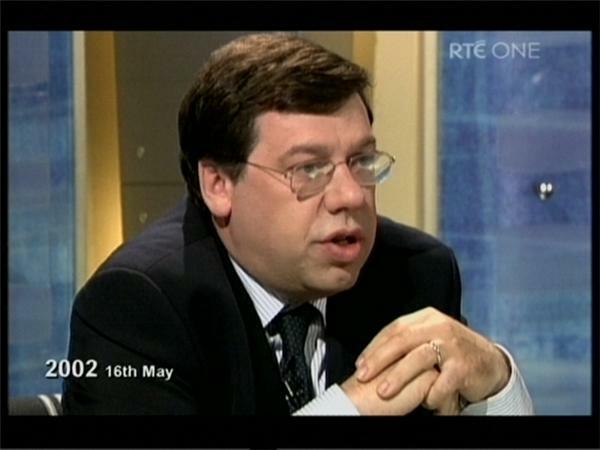 A very quick thought… last night, Questions and Answers wrapped up with a one-on-one interview with Brian Cowen by John Bowman, bringing the curtain down on an Irish political institution. An Spailpín Fánach says a lot of what needs to be said quite brilliantly, but one thing that I thought went softly laden was the fact that although the show was filmed with a studio audience, those in attendance weren’t given the chance to, you know, ask questions. Surely the best way to make the final show memorable – instead of rolling out clip after clip of Sinn Féin reps refusing to condemn murders – would have been to celebrate the only ever visit by a sitting Taoiseach by allowing the audience the chance to question him the way they no doubt would have wanted? The premise of the show was about getting public figures into a room and essentially holding them accountable. It will forever be a shame that the final guest, the most powerful the show could ever get hold of, was allowed to break that mould.